Lenovo has officially unveiled its latest ThinkPad laptop with the ThinkPad X131e lining up as an impressive specced, student centric device. Crafted with the academic market in mind, the X131e marks the toughest education PC yet from Lenovo, offering heavy-duty, military-grade design features capable of withstanding the wear and tear of everyday student life, whilst still retaining top end specs. Fully customisable, the 11.6-inch ThinkPad X131e offers wannabe owners a selection of processing options with the top of the line model landing with an Intel Core i3 CPU and Intel HD graphics. Offering an even balance between work and play, those plumping for the latest ThinkPad will see a low-light webcam feature alongside Dolby Advanced Audio abilities that boost the inbuilt speakers. “We know from experience that students are our toughest customers – literally – and for that reason we make it a point to go above and beyond our standard ruggedness features in the laptops we introduce for education,” said Dilip Bhatia, VP of Lenovo's ThinkPad Business Unit. The perfect backpack companion, the X131e weighs in well under the 2kg mark whilst boasting a battery life of up to 8.5 hours. Its student-proof reinforced hinges, steel hinge brackets and strengthened AC adapter cable means it can withstand more damage than the average laptop. The ThinkPad X131e can also be bought in custom colours or with a school logo etched into the top cover. 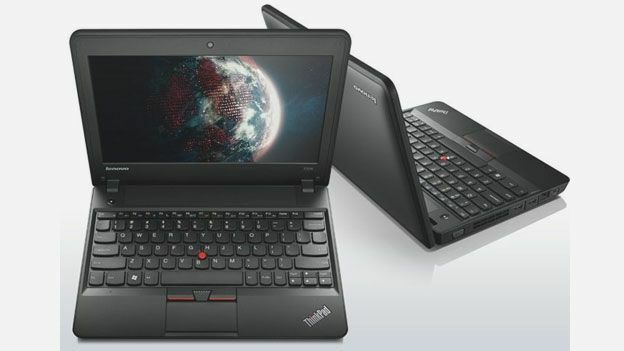 With a Lenovo ThinkPad X131e UK release date pencilled in for July, eager students will be able to snap up the variable coloured laptop in a matter of weeks with prices ranging between £349 and £499 depented on specs. Are you in the market for an educational orientated laptop? Does the new Lenovo ThinkPad X131e take your fancy? Let us know via the T3 Twitter and Facebook feeds.